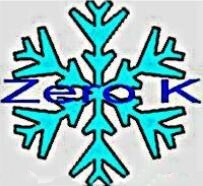 Zero K Designs is expert in the measurement of thermodynamic parameters. We can help improve the precision and accuracy of temperature, vacuum and pressure measurements. If your processes require traceability to established standards, our knowledge of calibration hierarchies will help ensure compliance. Zero K also has many years' experience in the design, integration and implementation of ultra-high vacuum and cryogenic systems. This specialized expertise is available on demand. Whether seeking to create a new capability or to enhance current system performance, take advantage of what Zero K Designs has to offer. Make Zero K - Your "Ground State" Solution!